Ford Motor Company has acquired the iconic Michigan Central Station and plans to transform it into a new campus in Detroit's Corktown neighbourhood that will serve as an innovation hub for the company. The acquisition of Michigan Central Station comes alongside the company's purchase of the former Detroit Public Schools Book Depository, two acres of vacant land, the site of an old brass factory and the recent purchase of a refurbished former factory in Corktown, now home to Ford's electric vehicle and autonomous vehicle business teams. The campus will be comprised of approximately 1.2 million square feet of property in Corktown. This new development will serve the community with mixed use space including office space for office and retail space, and some residential housing. Initial plans include locating approximately 2,500 Ford employees, most from the mobility team, to call Corktown their work home by 2022. 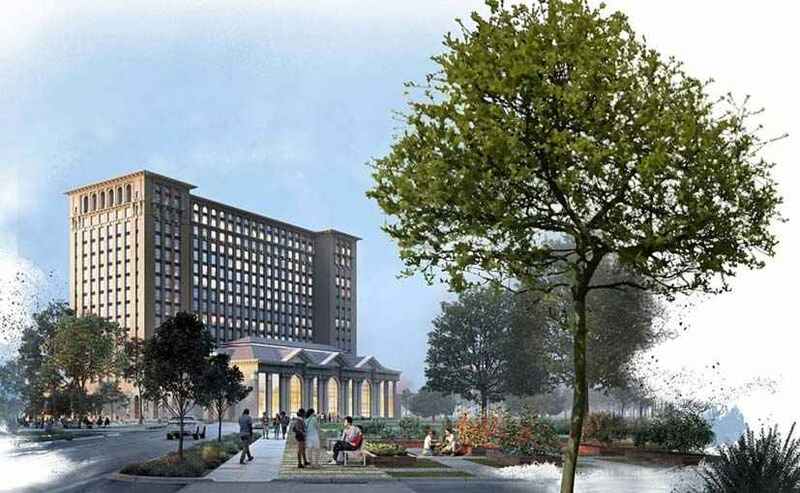 There will also be space to accommodate 2,500 additional employees of partners and other businesses amongst Michigan Central Station and the other developments. Ford will share many more details about the Corktown project, as well as early visual renderings soon. Bill Ford, Executive Chairman, Ford Motor Company said, "Michigan Central Station is a powerful symbol of Detroit's struggles and now its resurgence, but Ford's investment in Corktown is far from symbolic. They aren't just making a bet on Detroit. They are making a big bet on the future for Ford and the future of transportation. It's exciting to imagine what's possible as they build tomorrow, together."